PennsylvAsia: All in This Tea at Winchester Thurston School, February 23. All in This Tea at Winchester Thurston School, February 23. 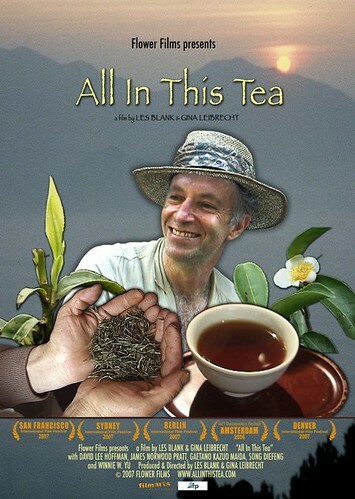 As part of the annual Asia Unreeled series, Winchester Thurston School in Shadyside (map) will show the 2007 documentary All in This Tea on Saturday, February 23, at 2 pm. Few people know the fascinating history of tea growing and making. This intriguing documentary aims to change that by following renowned tea importer David Lee Ho man as he scours the far- flung corners of China to fi nd the richest teas on earth. Tea making is an art and tradition that goes back generations in the East, and Ho man makes it his goal to bring to the rest of the world the exquisite teas produced by struggling small farmers. This film will be accompanied by a tea tasting featuring Chinese teas and dessert after the screening. ウェストバージニア - Wild and Wonderful. Nom Nom Nippon at CMU, March 1. Flying Horse Chinese Dance Performance, March 2. Everyday Noodles to open February 27. Japanese coffee roasters visit Pittsburgh. Japanese film Summer Wars at Pitt, February 25. Memories at Carnegie Mellon, February 18. Make Your Own Peppero, February 13.